Water from the tap, bottle coolers, and Fountains may contain unhealthy levels of metals, chemicals, algae, bacteria, or other unwelcomed contaminants. 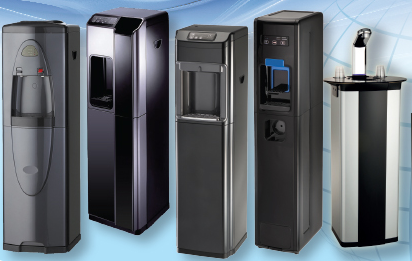 By having a bottleless water cooler you eliminate extra factors that might cause contamination. The Bottleless Water Cooler supplies a continuous flow of pure oxygenated drinking water at the convenience of a buttons. Lifting 40 lb water bottles increases the risk of injury, back strains are the most common and costly injuries. By having a bottleless water cooler you eliminate the need of carrying these bottles and possibly spilling them on yourself. Out of all the benefits we have listed, we feel that, ultimately, it comes down to taste. In order for your water to have a fresh taste, your water must be fresh. These coolers provide glass after glass of cool, pure, oxygenated water, with freshness that you can taste! Did you know? Americans now throw 22,000,000,000 plastic water bottles into landfills annually. That's right 22 Billion! 5 gallon Poly Carbonate (#7 Plastic) Bottles contain Bisphenol-A and cannot be Recycled. Gas Guzzling Bottled Water Delivery Trucks pump Millions of Tons of Greenhouse Gasses and pollutants into the atmosphere. 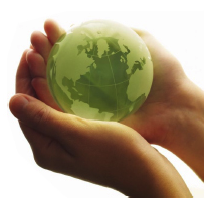 Make Bottleless Water Coolers one of your Go Green Strategy!